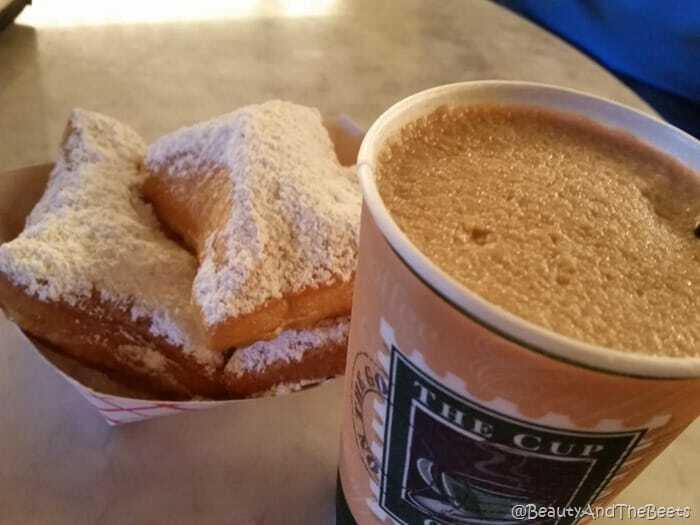 Beignets and coffee go hand in hand like cookies and milk. 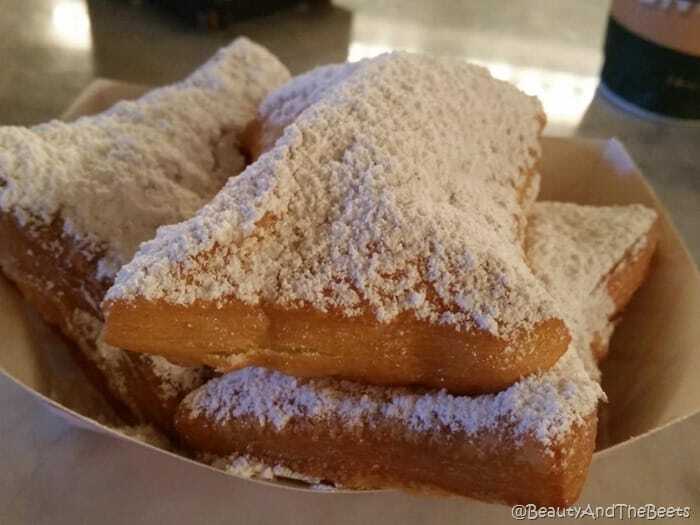 And beignets in New Orleans are a tradition, a pastry that has helped land the city on the culinary map. Now anyone who has been a tourist in NOLA knows about the super famous Cafe du Monde. 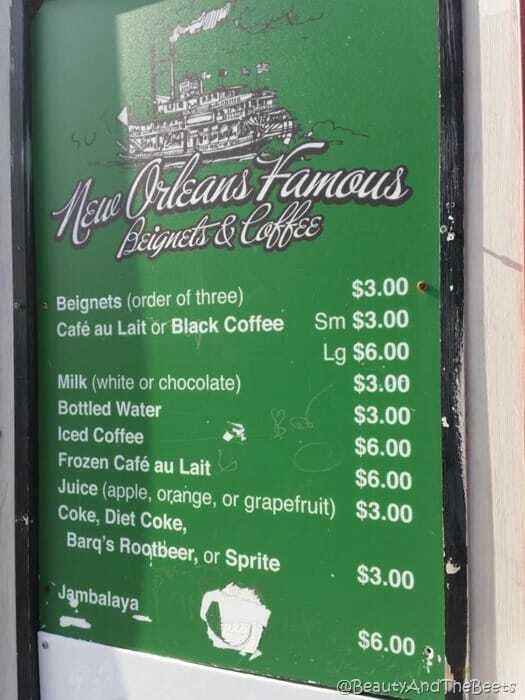 But right around the corner is another rather popular beignet eatery- New Orleans Famous Beignets and Coffee. 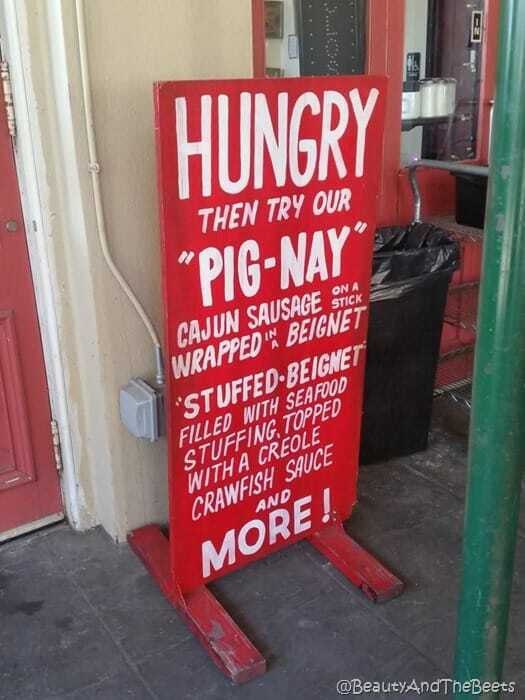 However, unlike its super iconic neighbor, this restaurant offers more than just simple beignets and coffee. There is also a peach coolis beignet, and savory versions with shrimp etoufee or cajun sausage. And…they serve authentic jambalaya. We ordered the simple beignets, dusted in powdered sugar. While they were not as light and airy as Cafe du Monde’s version, they were very good. A little more on the crispy side. I also tried the frozen Cafe du Lait. While not as strong as a steamy piping hot cup of coffee, it is still quite delicious. The frozen version is more geared towards someone who thinks coffee is strong, as the frozen version is not. 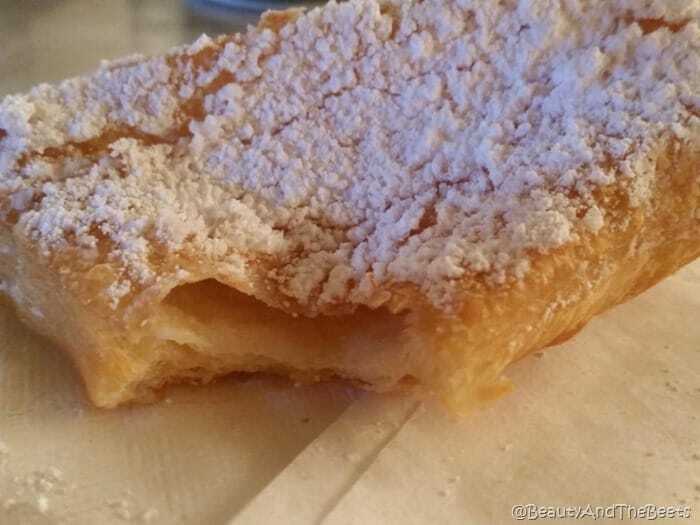 So the next time you have a craving for a beignet, and the line is too long at Cafe du Monde, give New Orleans Famous Beignets and Coffee a try. 4 out of 5 sprouts.